I don't know about you but I love flowers. 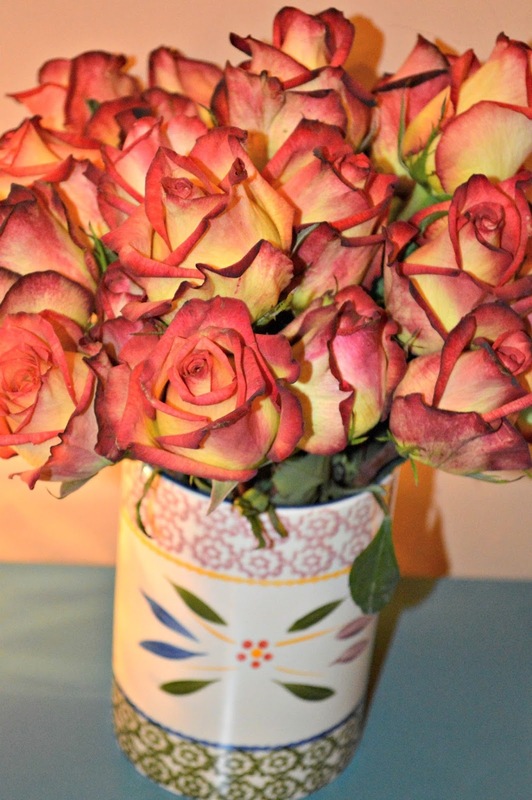 There is nothing quite like having a beautiful bouquet sitting on my dining room table. 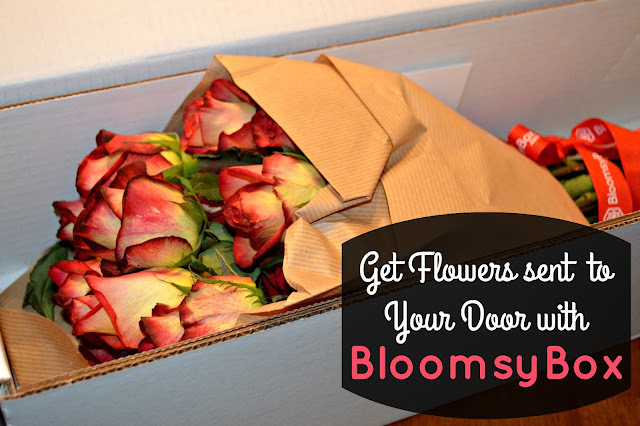 Now you can have flowers shipped directly your door each month with BloomsyBox! BloomsyBox also makes the perfect holiday gift! Picking a subscription is simple! All that you have to do is decide whether you want to receive small, medium, or large bouquets each month. After you pick a bouquet size the rest of the process direct and makes it so that your flowers are more fresh. All flowers from BloomsyBox are sent directly from their farms around the world (places like South Africa, Holland, South America, and more) to your door! Once the flowers are harvested and packed at the farm they are delivered to the airport. From there they fly from the airport to a large importer, and then are shipped via Fedex to their customers! With this process the middlemen are eliminated and you get your flowers quickly! As soon as I received my flowers from BloomsyBox I was in love! These beautiful multi-tones roses were absolutely perfect for fall. After I took them out of the box I put them in a vase in my dining room. Everyone that I had visit during the two weeks that I had my flowers kept commenting on how beautiful they are. I was so impressed that these flowers lasted two weeks! 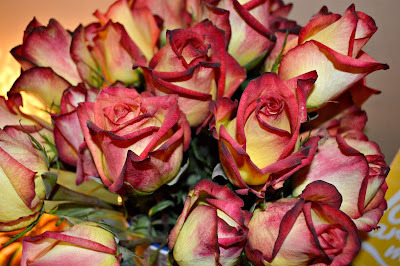 I know that the reason they lasted so long had to do with the wonderful way that these flowers are packed and delivered! I will absolutely be ordering from BloomsyBox in the future and recommending them to all of my friends and family! BloomsyBox makes a perfect gift!